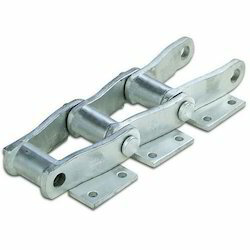 We are the leading manufacturer and supplier of Bucket Elevator Conveyor Chain. To manufacture these products, we are using high grade raw materials that are procured from our trusted vendors. These are offered in different sizes and also customized as per customers’ drawings and specifications. These elevators are the most common used systems for vertical transport of bulk, dry or wet materials. We are offering a wide range of Special Bucket Elevator Chain Our professionals manufacture these elevators under strict supervision, using finest quality metals. We also manufacturer of Elevator as per client and concern as per demand. These elevators are the most common used systems for vertical transport of bulk, dry or wet materials. 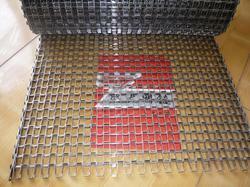 We are offering a wide range of Honeycomb Conveyor Chain. This intelligent part conveyor integrated with other ancillary equipment can greatly increase quality and efficiency of the processing unit. These pulleys move the belt and the material that kept over it. The honeycomb belt is positively driven by sprockets. 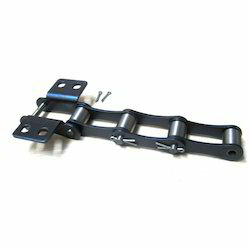 We are offering Bucket Elevator Chains to our client. 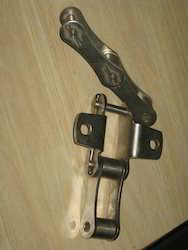 Looking for Bucket Elevator Chain ?